moved to Norman as a high school student and loved it so much she decided to stay. She’s a graduate of O.U. with degrees in Elementary Education and Interior Design. A former third grade teacher, Mary Eve has run her own design firm, Shutters, Etc. for many years. The positive experience of working with homeowners and builders influenced her to become a Realtor®. She and husband John have two adult children, Ryan and Allyson, and a granddaughter, Courtney, all living in Norman. 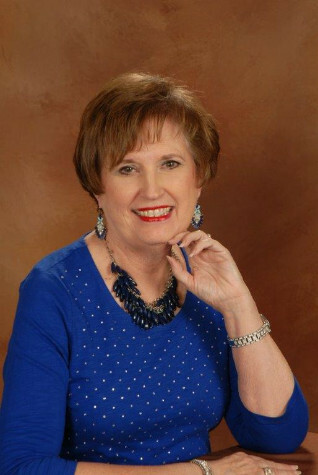 Mary Eve has served as a board member of Junior League, Assistance League, Delta Delta Delta, and Beta Sigma Phi. She’s also served in many capacities at First Baptist. She was both “Teacher of the Year” and “Volunteer of the Year” at Cleveland Elementary. I know Norman: the neighborhoods, schools, churches, shopping, entertainment, and services. As a homeowner, real estate investor and Realtor®, I keep a close eye on existing neighborhoods and new development and can show and market anything from cottages to castles. Whether you’re buying or selling a home I’ll listen to you, work with you and guide you through the process from start to finish. I promise service and commitment. There are many things to avoid in buying a home. It’s an emotional decision, one you make with the heart as well as the head. It’s also one of the biggest financial decisions you make. Don’t start this important decision-making process without a knowledgeable, skilled, licensed expert. Know the company listing your home. Don Cies Real Estate, Inc. has been serving Norman for almost forty years. We’re known for our professionalism and the quality of the homes we sell. You want to sell your home for the best price, in the shortest time and for the least amount of stress. I’ll give you a list of all the ways I’ll market your home, from a virtual tour to special “Home Staging“ and more. Norman has a small town feel and all the perks of a university community - sports, music, dance, theatre, and symposiums. Our schools are the envy of Oklahoma. In addition to Lake Thunderbird for boating and camping, we have neighborhood parks, recreation centers, sports fields, and water parks for the whole family. There are things happening the year round: The Chocolate Festival, Medieval Fair, May Fair, Music in the Park, and Midsummer Night’s Fair. There are so many restaurants and shopping you never really have to leave town.